I just got this press release (excerpted below) and I love all of this–hoping the momentum grows to resorts and activity centers of every stripe in every state. Kinda makes you want to book a ski trip to Vermont now, doesn’t it? So much of the nation is getting now, or due in the next few days for, a giant snow dump—so slopes seem like they may be better than most years. Vermont resorts give nearly 10,800 complimentary tickets/passes and another 3,700 deeply discounted tickets to school children annually. These numbers do not include all the state’s honor roll-eligible kids, to whom many resorts offer season passes. Resorts also recognize and appreciate Vermont’s volunteers and local rescue organizations with complimentary lift tickets and passes; Vermont resorts reported donating 9,000 lift tickets/passes cumulatively. Military and their families are also eligible for special programs, some complimentary and others discounted at many Vermont resorts. For more than 20 years, Smugglers’ Notch Resort has hosted families sponsored by the Make-A-Wish Foundation. These visits are enthusiastically supported by resort employees, who have donated holiday tree ornaments, delicious treats, cards and Vermont mementos to the families to enhance their stays. Visiting children have built snowmen, taken rides on snowmobiles behind ski patrollers, laughed through snowboarding lessons, and grinned during sleigh rides, and left with fond memories of their family’s special Vermont holiday. Smugglers’alsoprovides support to a variety of community and statewide efforts, including the local food shelves, the United Way, the Cambridge Arts Council, and the Green Mountain Club. Visit smuggs.com for more information. All Vermont students who receive High Honors in two of four marking periods the previous season are awarded free season passes at Pico Mountain, with an upgrade option for Killington Resort. This year, more than 2,200 Vermont students will receive free season passes through the Academic Excellence Program for the 2010-11 season. Killington Resort and Pico Mountain have raised more than $35,000 for the United Way of Rutland County over the past six years through our United Way Day promotions. The summer United Way Day promotion offers guests an opportunity to participate in Adventure Center Activities at Pico Mountain, and K-1 Gondola-served hiking and mountain biking at Killington for a minimal donation to the United Way. Read more on Killington and Pico Mountain’s fund-raising & scholarships. Bolton helps at-risk youth, people with disabilities, and other philanthropic organizations in reaching at-risk youth through snowboarding. As the first resort nationwide to partner with Chill, founded by Jake and Donna Burton in 1995, Bolton Valley works with the Burlington-based organization to bring snowboarding to youth who otherwise wouldn’t have the opportunity to hit the slopes. Read more on Bolton’s several community programs. This holiday season the Trapp Family Lodge has established a Giving Tree and it is working to benefit three different Vermont charities; Donate Life VT, the Vermont Food Bank, and the Lamoille Family Center. The gift shop in the main lodge is selling “giving tags” and guests can purchase for a monetary donation of their choosing and place on the Giving Tree. With the realization that children are the future and the primary influencers of change, the Stratton Mountain Foundation aims to be amongst Vermont’s leading non-profits dedicated to helping Vermont’s youth discover all of life’s possibilities. The Foundation has worked with community organizations to expand opportunities for Vermont’s children to become socially integrated, healthier, smarter and more successful. This season, Jay Peak is again offering free season passes to all immediate family members of Vermonters currently serving in, or about to deploy to, Afghanistan or Iraq. 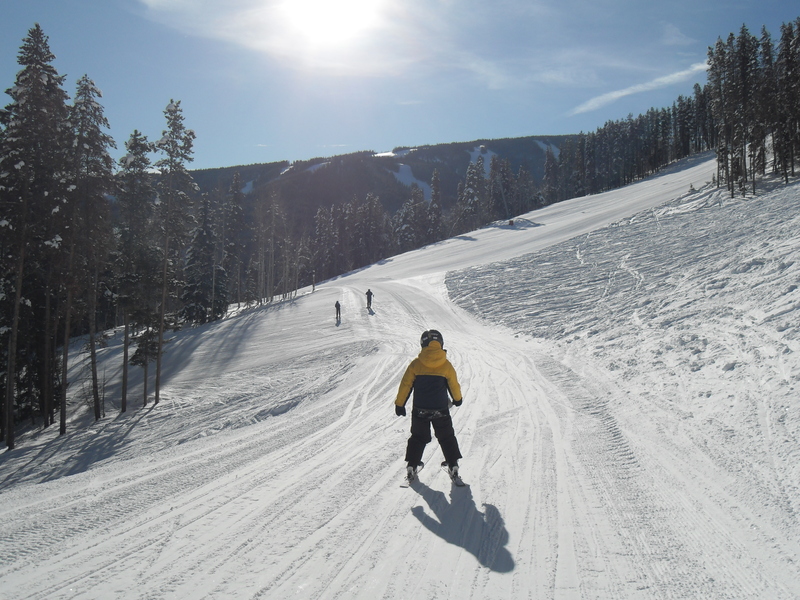 The resort started the free pass policy last year and will continue it through the 2010-2011 season. Beginning this year, skiers from around the world will be able to wear that “Ski It If You Can” in multiple languages. These “badge of honor” stickers are available in Spanish, French, Chinese, Italian and even more esoteric ones like Dari, Finnish, and Farsi among others. Proceeds from the sale of these stickers will be donated to Direct Aid International, a small nonprofit organization operated by a former Mad River Glen employee. Ski Vermont believes that winter in Vermont is a way of life, an opportunity to get outdoors, to be healthy and active, and to share amazing experiences with friends and family. That philosophy has led Ski Vermont to develop the Fifth Grade Passport, a program that lets fifth graders ski and ride for free, and fall in love with the experience of sliding on snow, now in its 11th year of enriching families’ winters. This season marks the first year in which the program will also enrich the community by donating proceeds to Keep Local Farms, an organization that supports New England dairy farmers.